Joshua Tree is a dark sky community which makes it a perfect location for night sky viewing. For Babes Ride Out 5 we have invited back the Southern California Desert Video Astronomers to host an evening of looking at the stars. They will have deep space telescopes available for viewing an amazing array of celestial bodies as well as be available to talk space with BRO5 attendees. AND the Orionid meteor shower will be putting on quite a show all weekend. This is a must see experience and will take place from 8pm-11:30pm on Both Friday 10/21 and Saturday 10/22 of BRO5 weekend. Read on to hear more about the Astronomy Arts Theater and make sure and bring $5 for entrance. The $ goes to a great cause and allows the SCDVA to be able to educate the community about the universe. See you there! Welcome to the World famous "Joshua Tree Astronomy Arts Theater" where we share the adventure of exploring our Cosmos through some of the most powerful astronomical equipment and technology available. JTAAT is the World's one and only live deep space astronomy theater where the images we capture live have been called "Hubble like "! Visitors will see Galaxies, Nebulae, Stars and Planets projected on to our giant 24 foot screen as we tour the night sky searching for deep space wonders. Our powerful visual telescopes will be available to bring images of amazement to everyone. If you have never seen the Rings of Saturn with your own eyes, get ready! 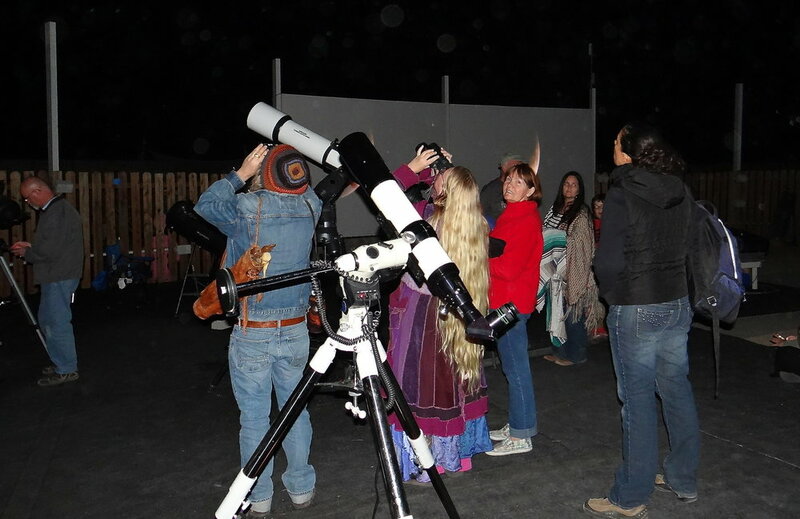 We will tour the beautiful Joshua Tree night sky pointing out the constellations of the Zodiac and add stories of Mythology as we share the science and lore of the stars.